Welcome to the radio show about all-things real estate with award-winning broadcaster Gil Gross. We deliver everything you need to know about your home, from buying and selling to improving its value... even the current state of the market. Finding New Neighbors ... the Book every home buyer should read. Finding New Neighbors is on You Tube! Click on the links below to view helpful videos on marketing and selling your home or property. if you have the question, others may as well. I'd be happy to answer those questions in a video. Welcome to my web site. I'm Wes Brooks;Associate Broker for RE/MAX Encore, your one stop source for Real Estate in South East Michigan. If you're considering selling your home or any other type of property, please feel free to contact me for a complete free CMA (Comparable Market Analysis). My marketing methods, tools and style are beyond your everyday typical real estate agent. Each of my property listings have their own dedicated Web Site, QR Code, Personalized Videos created by the video production company: Finding New Neighbors LLC, including Aerial Video and stills; they are each Professionally Photographed and managed to todays highest standards of technoligy. As a Third Generation and a Fifth Generation Builder, I have been working inside the housing industry since 1968. As a published Author on the Housing Market, I continue to write books on the housing industry. While I am now retired from the construction portion of the industry, my career is now fully dedicated to the real estate, as it has been since 2005. Browse my website for listings, reports, weather conditions and important local real estate information. 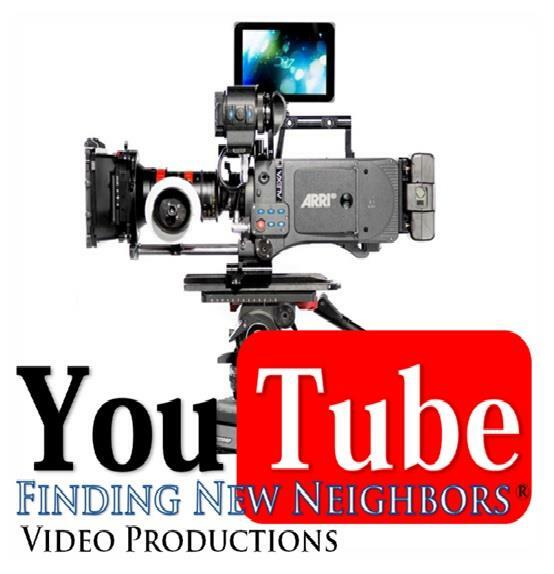 View my You Tube Network by clicking on the links provided within this page or visit the site for Finding New Neighbors video productions. As of December of 2012; I now also Host the local cable Real Estate TV Show Finding New Neighbors with Co-Host Residential Mortgage Broker: Linda Sinacola and Co-Host Associate Broker: Donald Horne; where we cover everything about real estate from buying, selling, leasing and investing with top professional interviews and discussions. If you happen to be looking to purchase a new property, please e-mail me at FindingNewNeighbors@Yahoo.com with your specific criteria and I will create a persoanlized search just for you and e-mail you all of the properties that currently are available that fit your needs. There has never been a better time to buy real estate. Take advantage of this market and take control of your investment future. Please ... No Soliciting of web site promotions or any other phone and web based solicitations. This site is for the use of the public consumer. Thank you.